If anybody has connections in Nashville please let me know. My golf mentor and second mother has battled cancer for 10 years. She gets treatments in Nashville once a month. I take her for these treatments. She has an appointment the Friday before. My wife and I would like to go. Not sure if my friend will have enough stamina for the game. So if anyone has access to 2 or 3 tickets please let me know. Thanks. 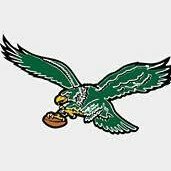 Go Birds! Actually got two already. Can't wait. Go Birds! I live in Nashville. Not sure yet if I'm going to the game budget wise for tickets. But let me know if you need tips on things to do, restaurants, etc.